As energy decisionmakers pursue strategies to bolster the resilience of the electric grid and to integrate renewable energy sources, an increasing number are turning to microgrids. Microgrids are small-scale electricity generation and distribution systems with control capability, that are capable of operating autonomously and even disconnect from the main grid. More sophisticated microgrids are capable of integrating different energy sources, and providing power sufficient to support industrial operations or university campuses. 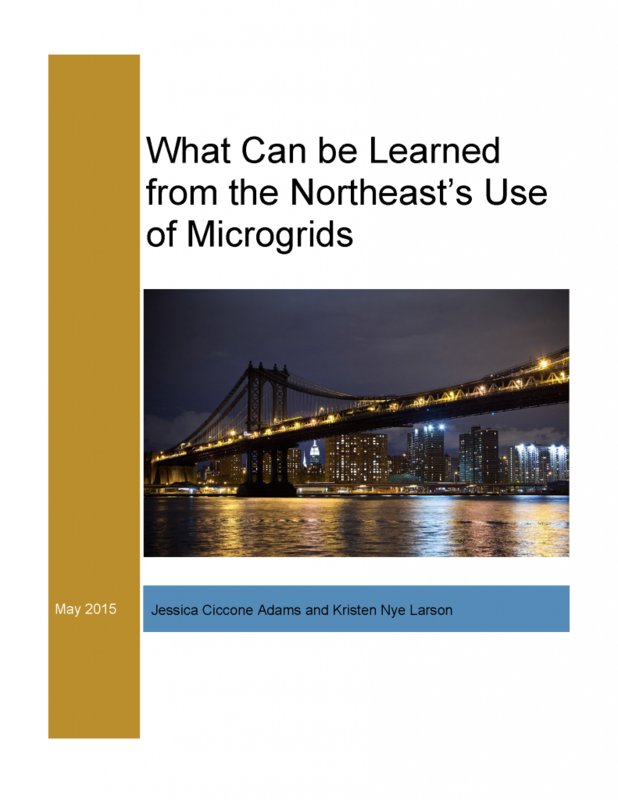 The Northeastern United States most impacted in the 2012 aftermath of Hurricane Sandy are each moving forward with different microgrid models. Connecticut leads the nation in the establishment and development of microgrids, with projects underway in several cities, utilizing innovative financing mechanisms. In New York, where some 8 million customers experienced sustained power interruptions in late October 2012, initiatives underway feature the diverse incorporation of renewable energy sources and energy storage in addition to increased reliability of electricity supplies. New Jersey policymakers have embraced elements of models being developed by these two neighboring states, while laying important groundwork for microgrids to support vital transportation services. Also discussed in this report are significant regulatory and governance challenges to microgrid implementation, and various approaches to their resolution. This entry was posted in Economy, Energy, Studies. Bookmark the permalink.